Moleosophy – the prediction of the future and character analysis according to the moles on our skin – is an ancient art. In many places in the world, every infant is examined at birth, his moles are noted, and his future predicted. Since moles come and go, and their size changes, the reading of the moles is performed repeatedly throughout the person’s life. The mole map is used in an identical manner to the palm or the astrological birth map. This book consists of the most original and comprehensive research that has ever been done on moles. It analyzes moles and their location on the body in great detail, according to the traditions of East and West. 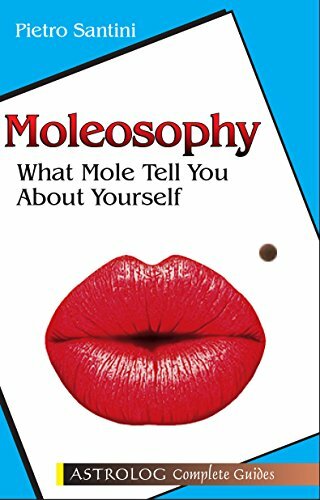 It is a unique and amusing book for anyone who wants to know his future via his moles! Pietro Santini lives in Florence. His interest in the arts of moleosophy, physiognomy, and phrenology began during a visit to the Far East. He decided to take time off from his job at a Florentine bank in order to study them. He soon discovered that his vocation in life had nothing to do with banking, and began to practice these ancient Eastern arts.